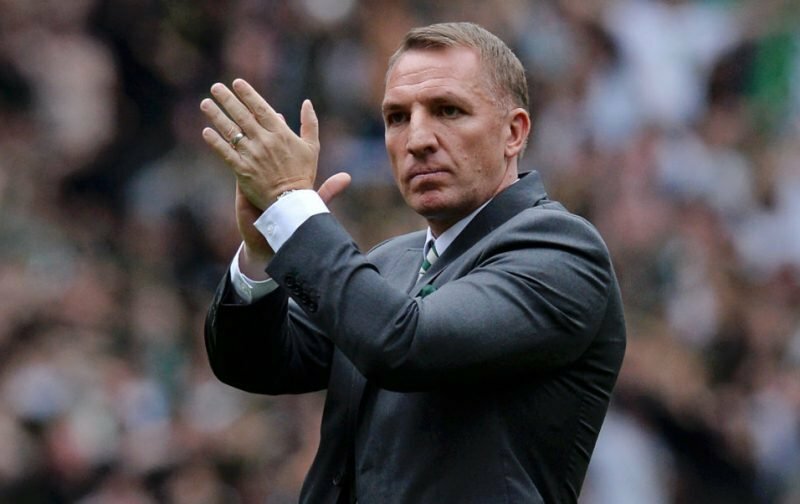 This Celtic Team Has Been Put Under Real Pressure This Season And They Have Coped With It Brilliantly. Pressure. It’s a bugger to deal with. It helps if you’ve been over the course before, it helps if you’ve already proved that you can stand up to the demands of the modern game. To win and keep winning. To keep on showing up for business when there is business to be done. Just because our players stopped playing in Leipzig at 2-0 down, people assumed we’ve cracked under pressure. But this team doesn’t do that. This team thrives under the cosh. We’re never more cool, calm and collected as when we have our backs to the wall. Then we come out swinging. Then we put our heads down and graft. We’ve seen it a few times now with this team. And the media and our rivals pour the pressure on … and every time they do we get stronger. Everyone assumed that our early season slump pointed to a team in decline. Even weakened, the idea that we were ever in decline was crazy. We had lost our way a little and became predictable, but sterling performers, good footballers, hadn’t become bad players overnight. That doesn’t happen. Class always tells when it matters. There were things behind the scenes that had upset the rhythm. The moment those issues were squared away we got back to doing what we are good at, winning games. And we’re winning them with a style we haven’t seen since Brendan’s first campaign. We’re putting teams away with ease. We’re killing games off early. We’re putting points on the board. We’re also in a cup final. Think of the mental strength it takes to come through that early part of the season, when barbs were flying at us and things weren’t good even inside the walls. Think of all the media hype over a certain manager who hadn’t really faced a test but had nevertheless already managed to flunk a couple of them. Did they really think this team would crack? Apparently they did. They still do. They think by heaping “expectation” on us that we’ll wilt like wallflowers in the sun. They are dead wrong. Last night we were under pressure. A “must-win” game they called it, as they have so many others this season already. As per usual, we turned up when it mattered and did the business. How many teams would cope with losing the goal the way we did at the time we did? How many teams would have chucked it or let their heads fall? Not this team. We went right up the park and scored the second. Their fans didn’t even have time to text their mates back home with the congratulations. That’s how swift our response was. I saw us do the self-same thing in the Scottish Cup final against Aberdeen in the Invincible campaign. Hayes put them in the lead, and before their fans had even stopped celebrating we were up the other end and it was 1-1. Beautiful. Just beautiful. At Ibrox last season we went down to ten men, in a match where Sevco really did believe they had our measure and were going to take us. We know what happened. We had already come back from behind twice; with adversity piled on adversity we focussed on the job at hand. We kept on believing. A positive substitution, and within minutes we had the lead. This team does not buckle. This is a team of strong characters; what we’ve found out in the last few week is that even our backup players have that core of strength. Ryan Christie has performed in some of the highest profile games of his career in the last fortnight, and he’s done so with aplomb. He’s proved that he, too, is a big occasion player … he fits right in with the mentality of this squad. It is such a pleasure to see that he can handle this stuff. It bodes way for the whole season ahead. It makes you wonder just what Rodgers is doing behind the scenes that every player in the squad seems to be possessed of this will to win, this calm in the centre of the storm. Even those players you didn’t associate with that trait – I am looking at you Dedryck Boyata – have been transformed beyond measure under this man’s leadership. This is the toughest Celtic side I’ve ever seen when the chips are down. Even without our on-field general, this team can cope. That is the highest compliment I can pay them; even when a man like Brown is not in the side, they still fight through. Incredible. This is how it feels to be Celtic.